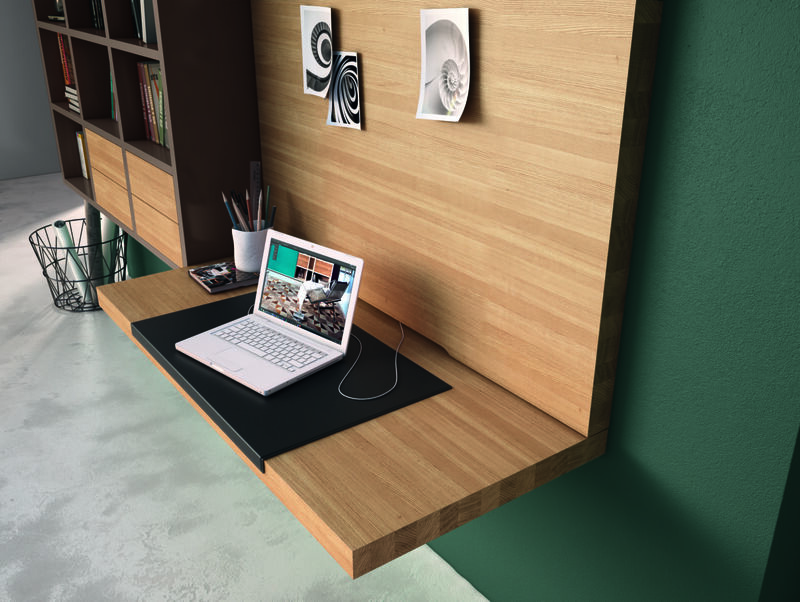 Mega Design - Joinwell Ltd.
One of MEGA-DESIGN’s strengths is its flexibility. 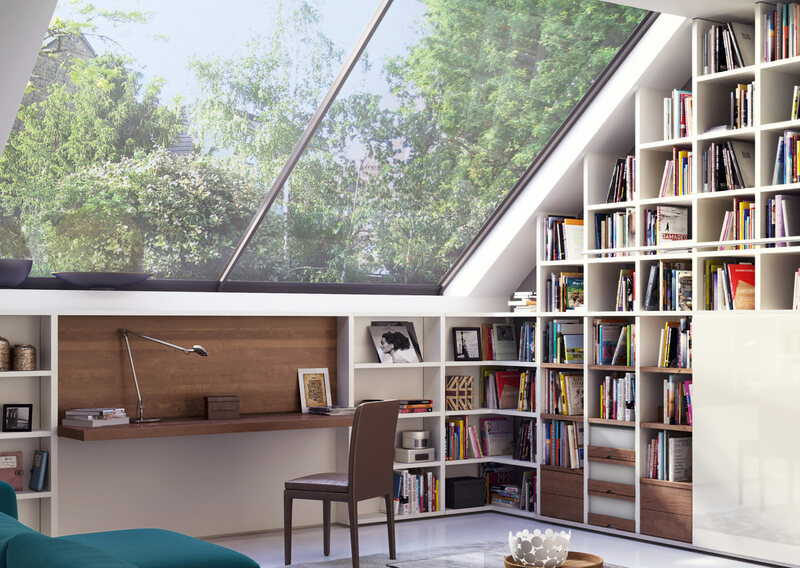 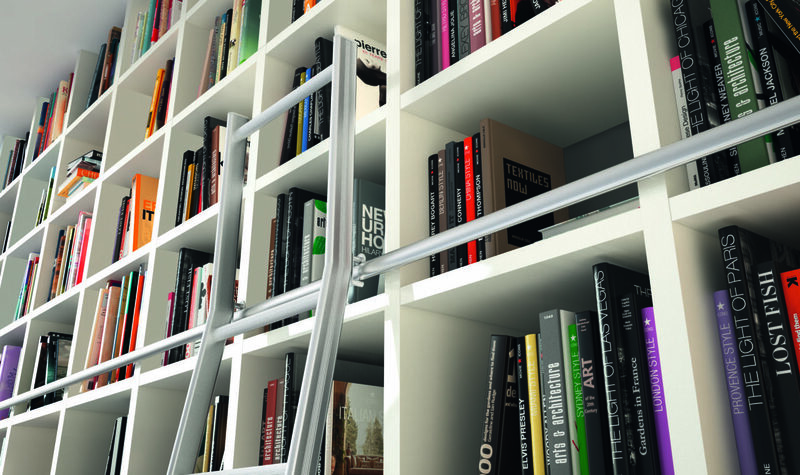 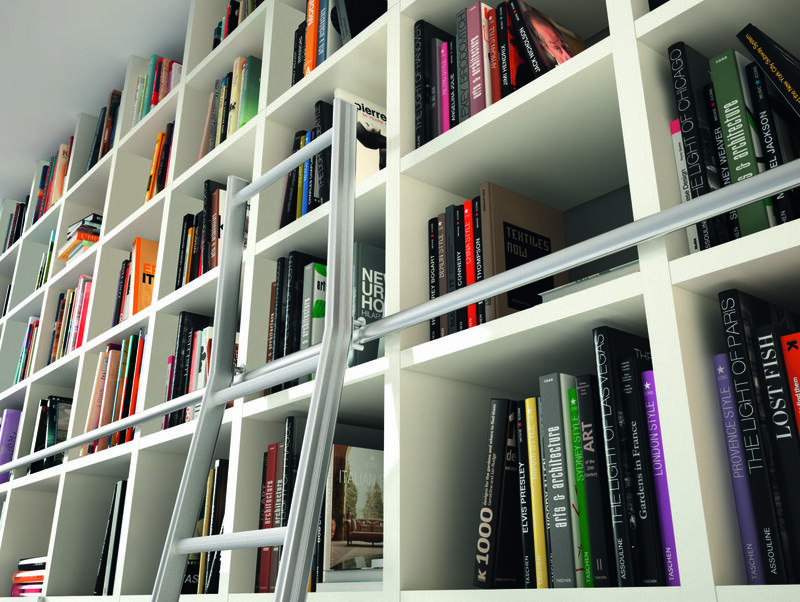 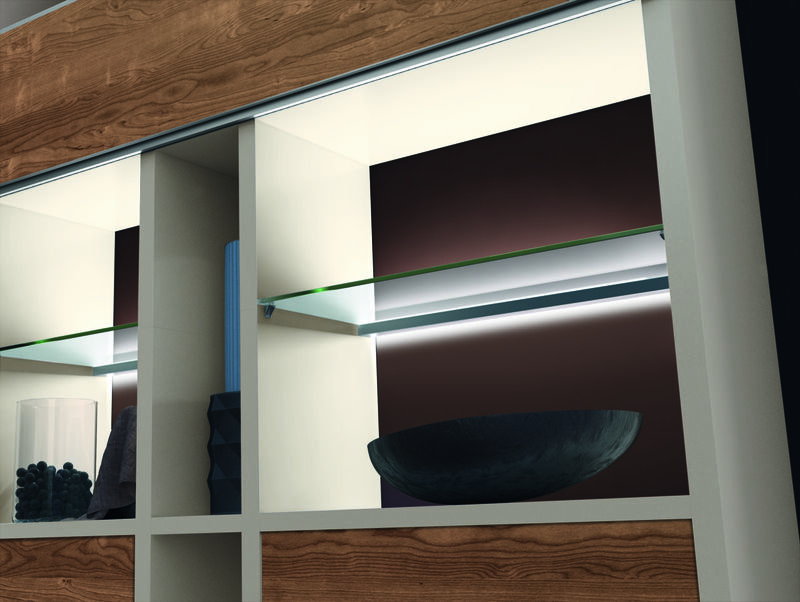 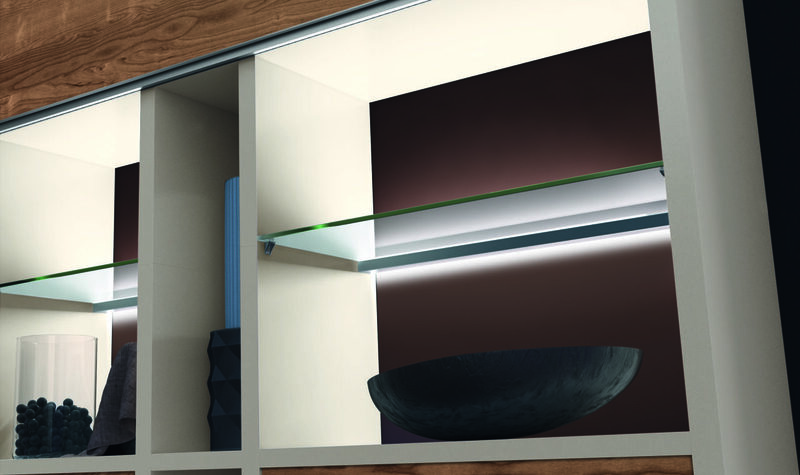 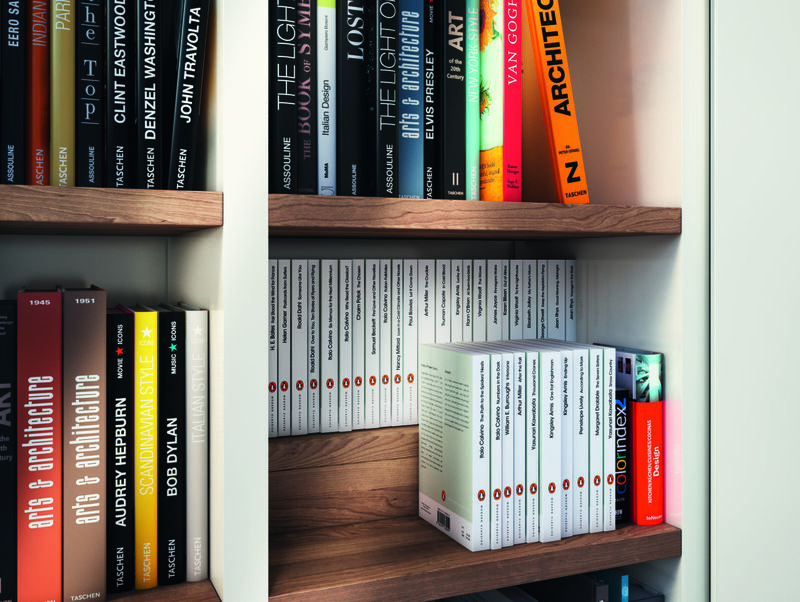 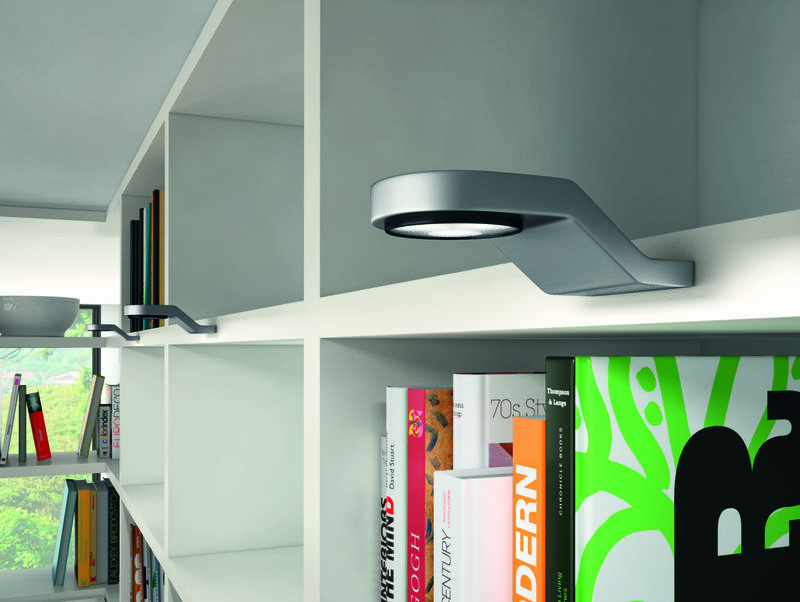 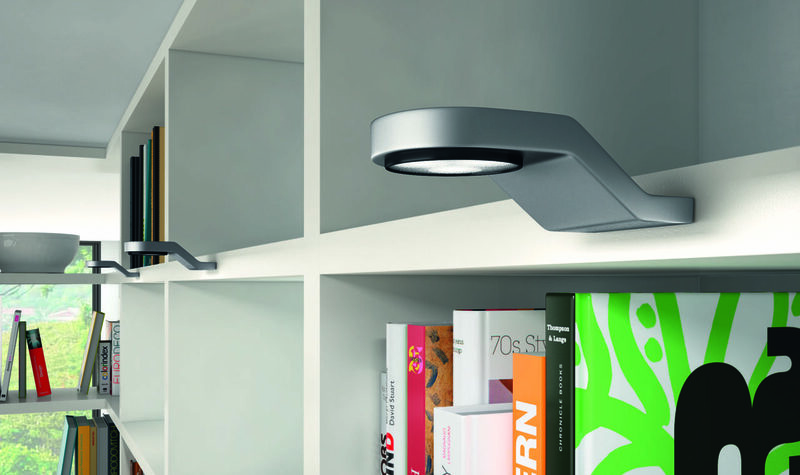 If you prefer a perfectly fitted shelving system, you will love MEGA-DESIGN. 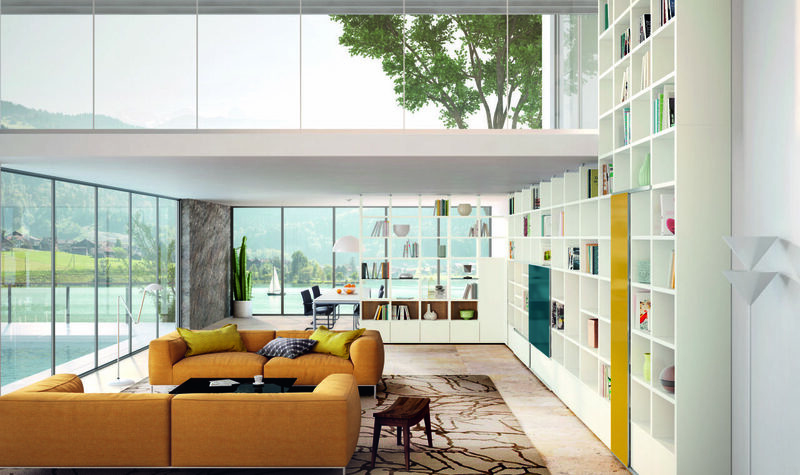 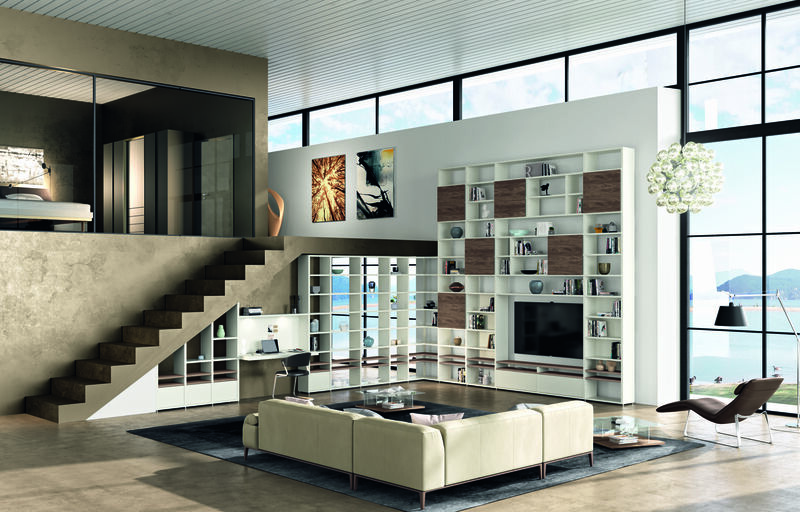 The living room range is a classic, if you are looking for a living room combination or a shelving system that will stand up to the highest expectations both in terms of style and functionality. 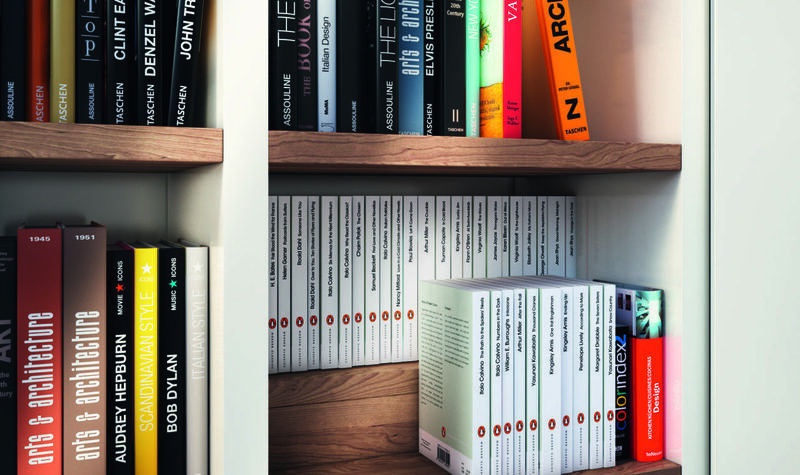 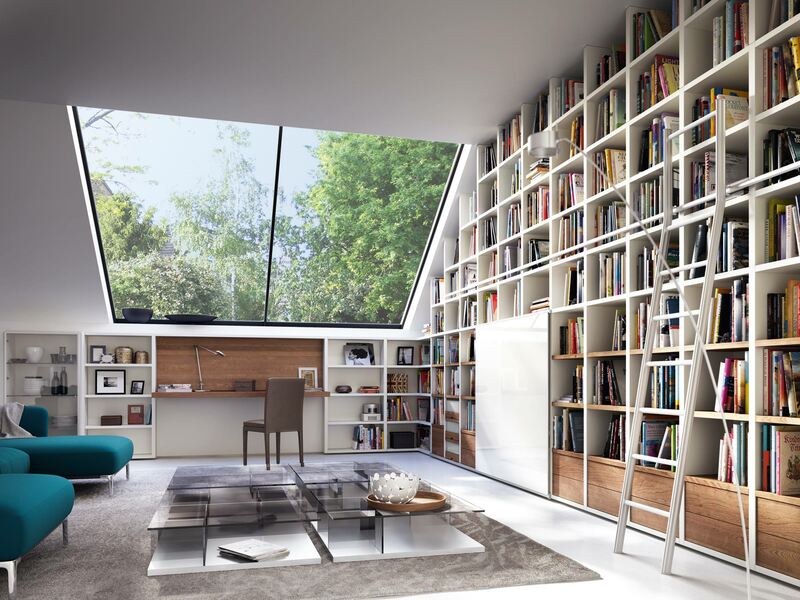 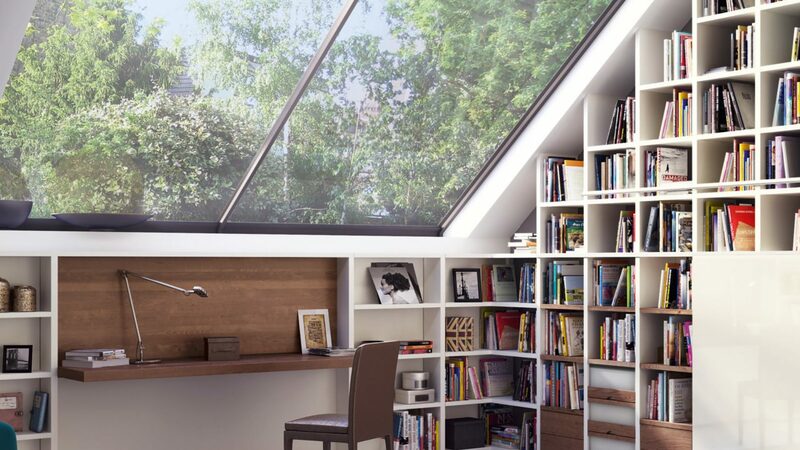 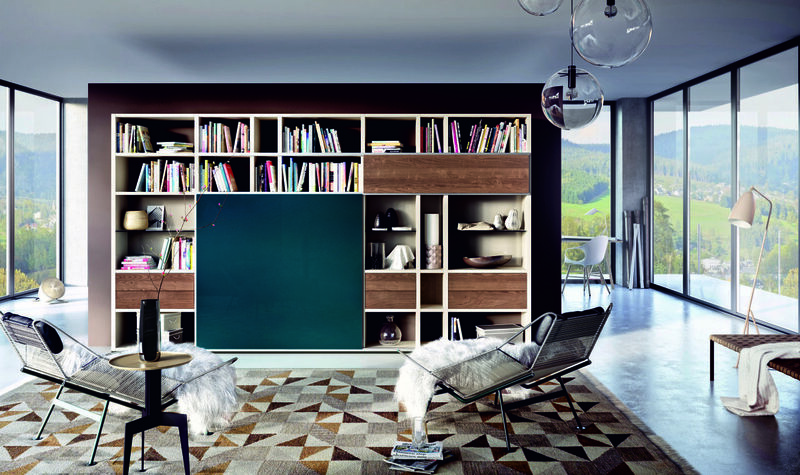 Literature meets media culture, lacquer meets wood and interior design meets room architecture. 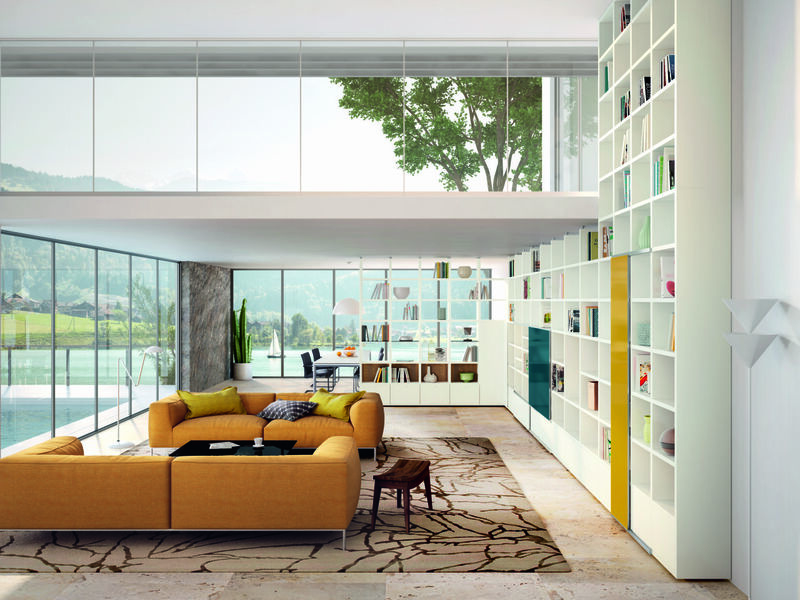 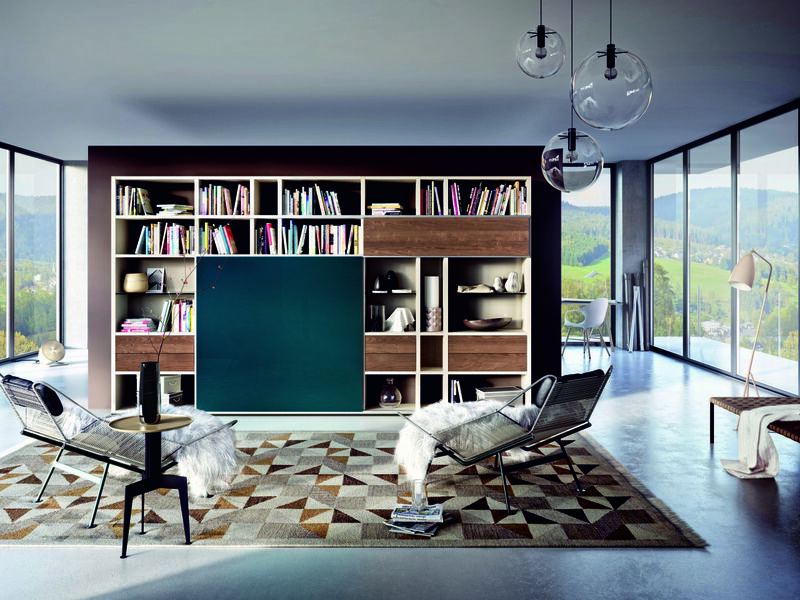 This designer range stands for much more than tailor-made shelving systems in living rooms and libraries, it is also extremely flexible: Combinations of open and closed units in lacquer, natural oak, core walnut and rear-lacquered glass, TV-panels and pull-out compartments produce highly individual living room combinations in terms of style and function. 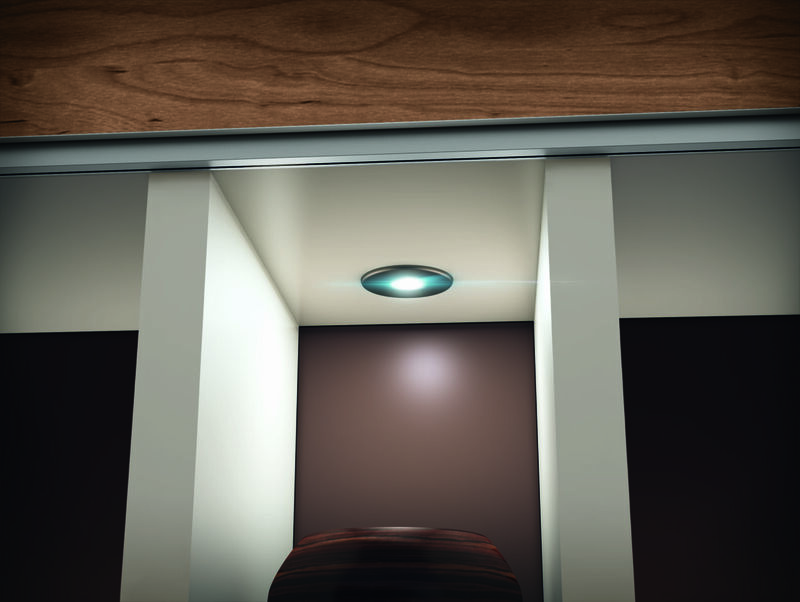 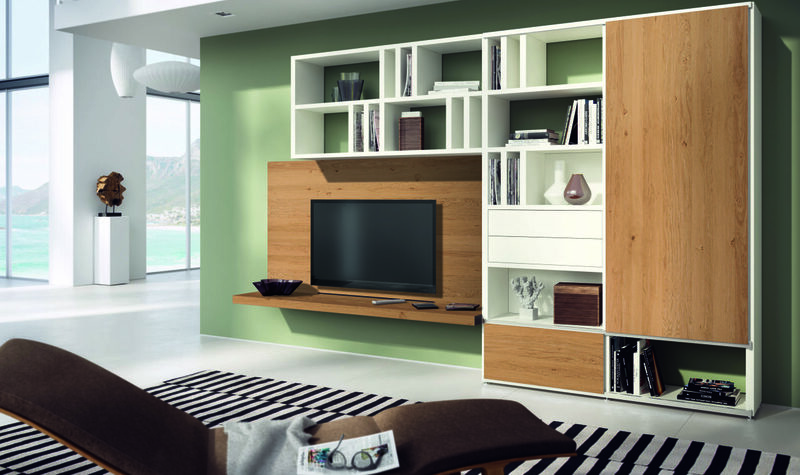 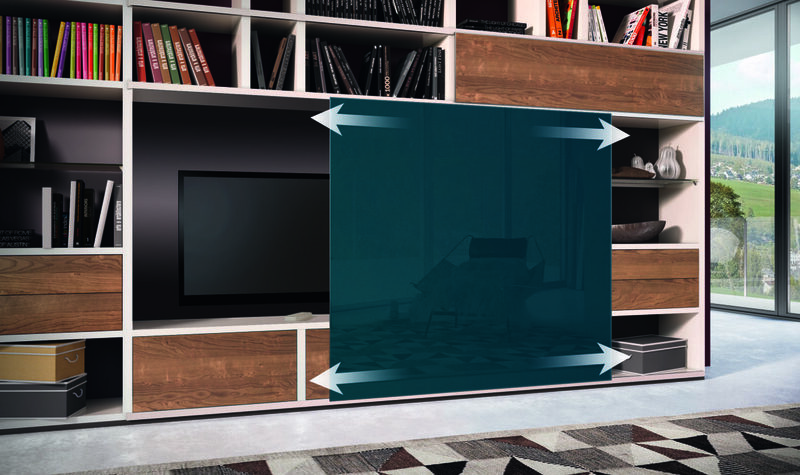 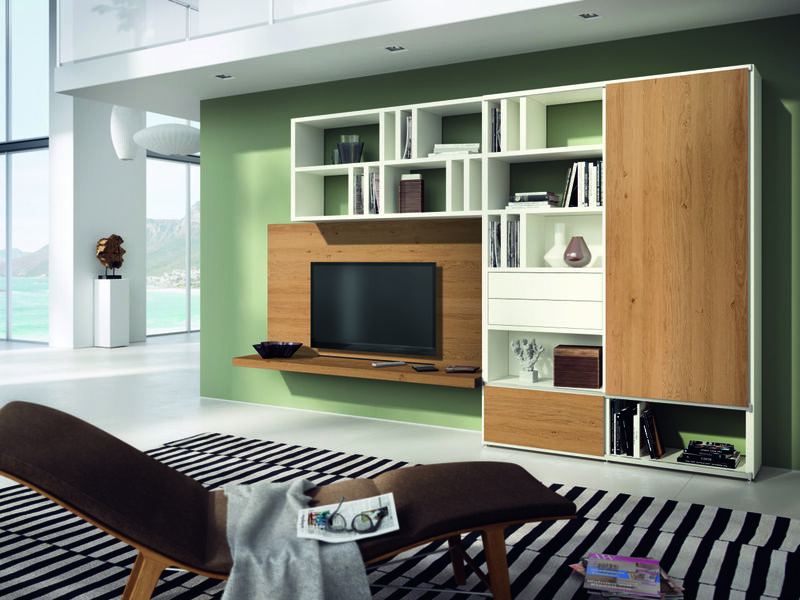 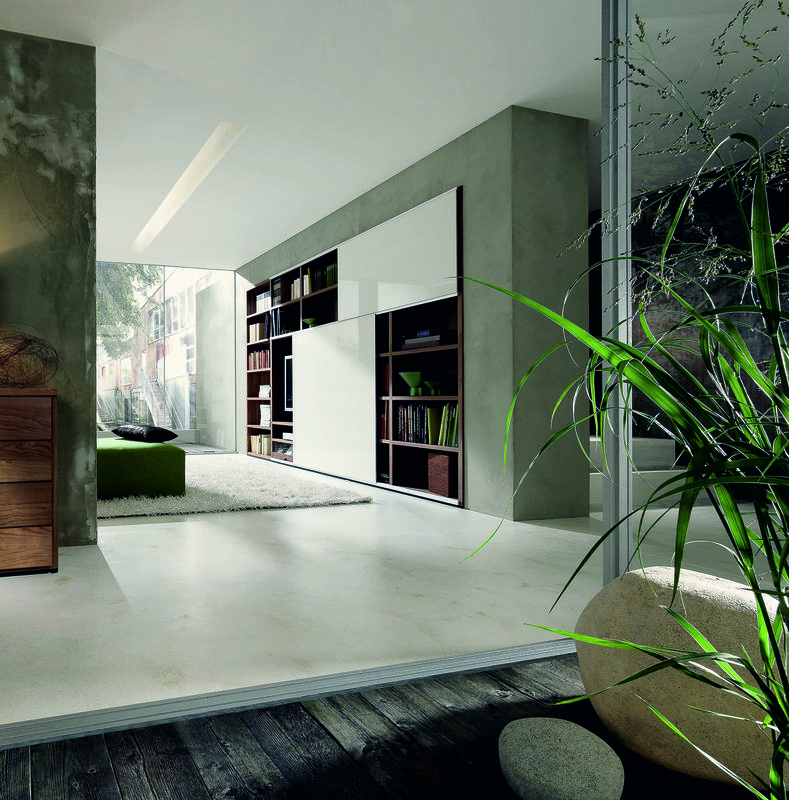 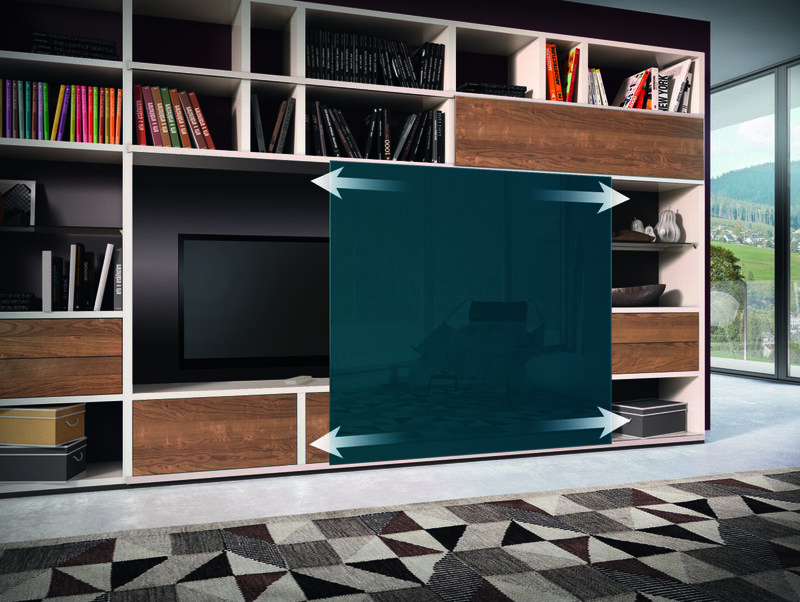 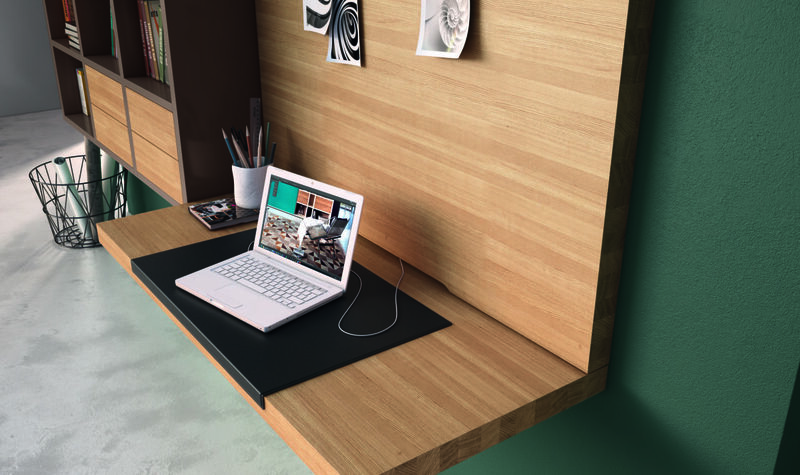 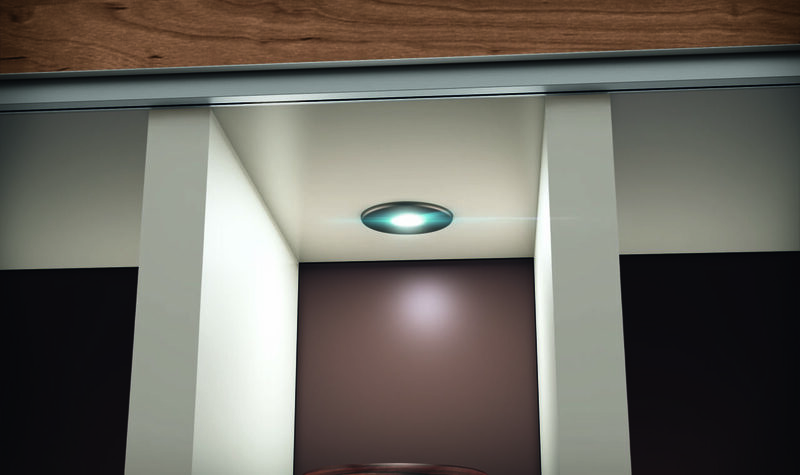 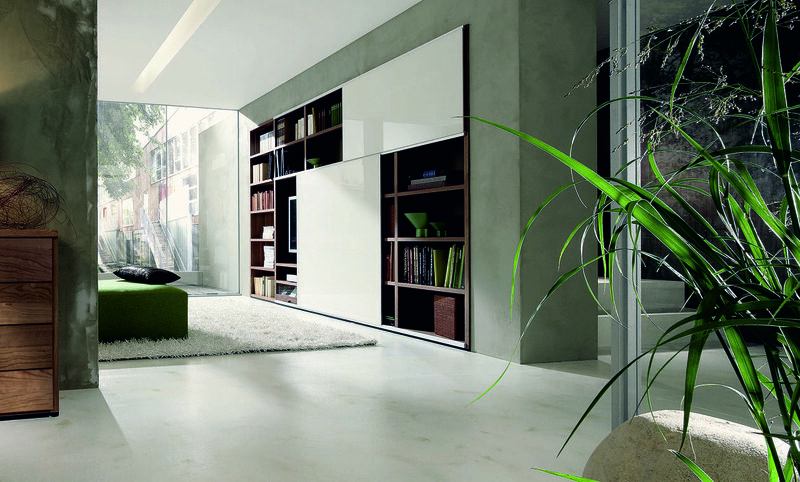 It effortlessly integrates large TV-units or conceals them behind smoothly running sliding doors. 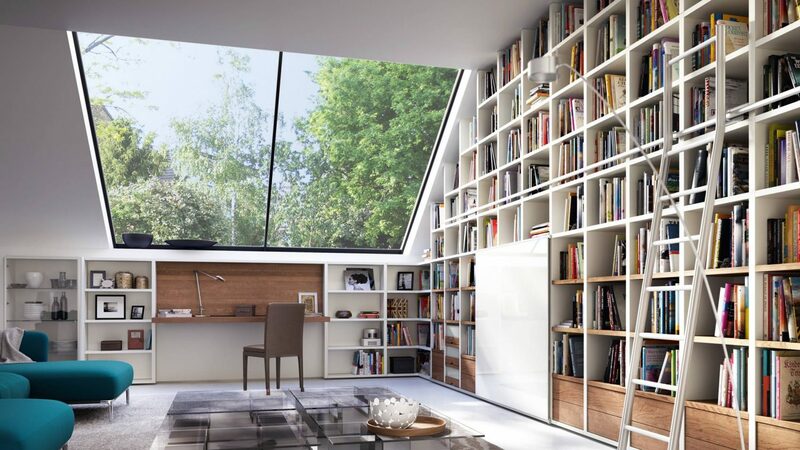 MEGA-DESIGN is open for everything. 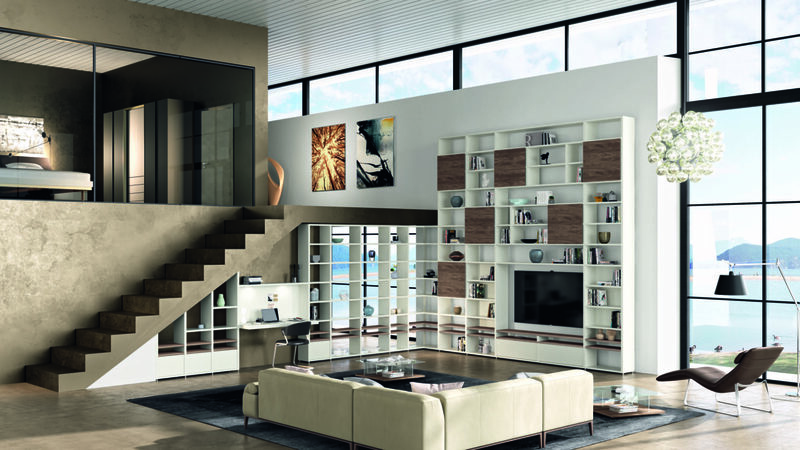 All MEGA – DESIGN finishes at the most favourable price until the end of 2018.